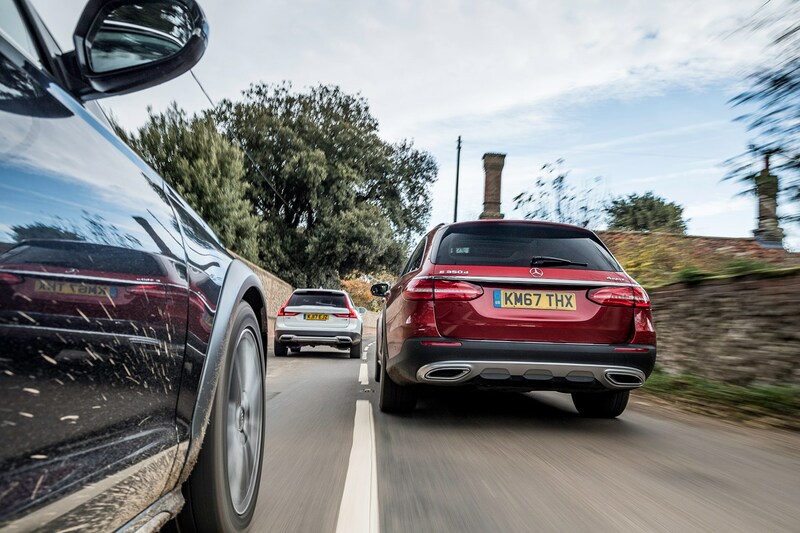 While the majority of the car-buying public are going for SUVs, there’s a tranche of stalwarts that continue to settle for estates instead, and in fairness they’re usually more practical and better to drive anyway. But what if you need a modicum of off-road capability to go along with it? This niche has spawned a class of vehicle aimed primarily at countryside-dwelling pragmatists with a premium bent: the off-road estate. What are the model ranges and what do they cost? 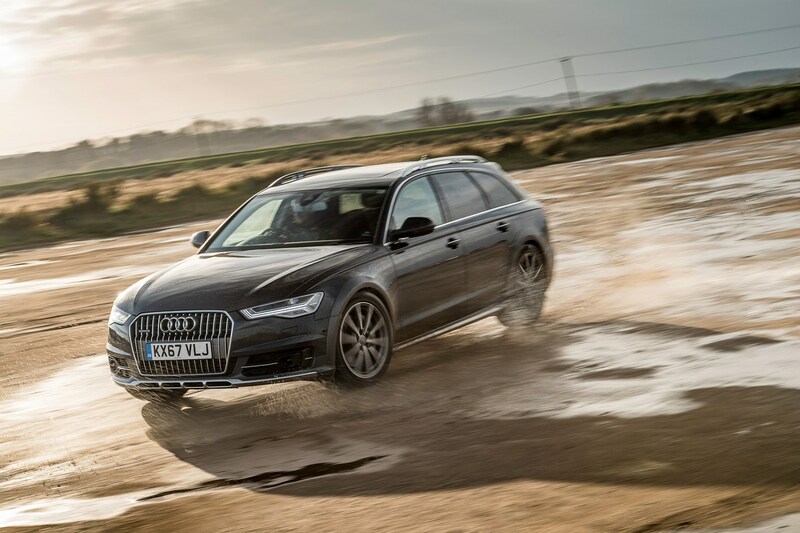 The A6 Allroad is available in two specifications, standard and Sport, and there’s a choice of three engines: all are 3.0-litre V6 diesels, but you can have single-turbo versions with either 218hp or 272hp, or a twin-turbo BiTDI with 320hp. The two lower-powered motors use a seven-speed twin-clutch S Tronic gearbox, while the BiTDI has an eight-speed automatic. All have Audi’s Quattro all-wheel drive system. In this test we’ve got the highest-powered engine in Sport spec. 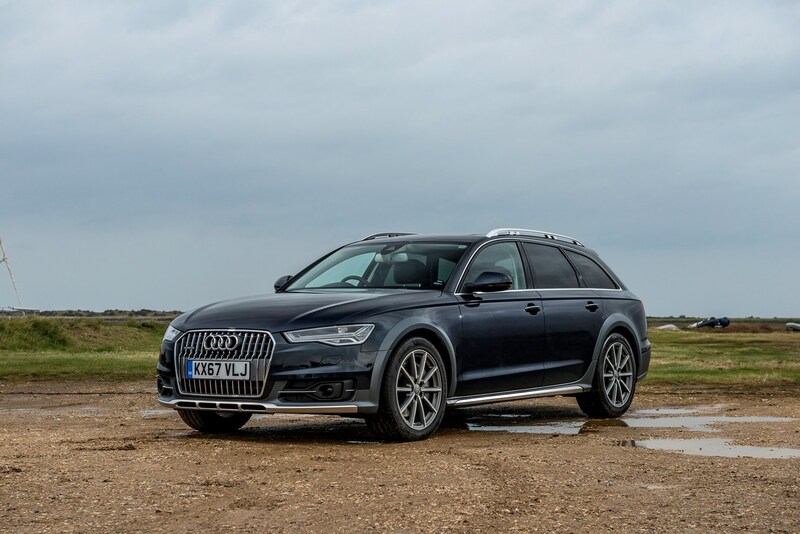 It’s basically the best Allroad you can buy, with an eye-watering additional £11,960 of optional extras on board for good measure on this particular car. There’s less choice in the Mercedes line-up: if you want an All-Terrain you have to go for the E 350 d 4Matic. That means you get a 3.0-litre V6 diesel engine with 258hp, a nine-speed automatic gearbox and Mercedes’ 4Matic all-wheel drive system. Our test vehicle’s already high specification is supplemented by £2,590-worth of extra-cost options. Volvo offers two four-cylinder 2.0-litre diesel engine options for the V90 Cross Country: a D4 with 190hp and a D5 with 235hp. Both use an automatic gearbox, with a choice between the standard Cross Country and the Pro. Here we’ve got the D5 engine in Pro specification with a whopping £13,475 in optional extras. 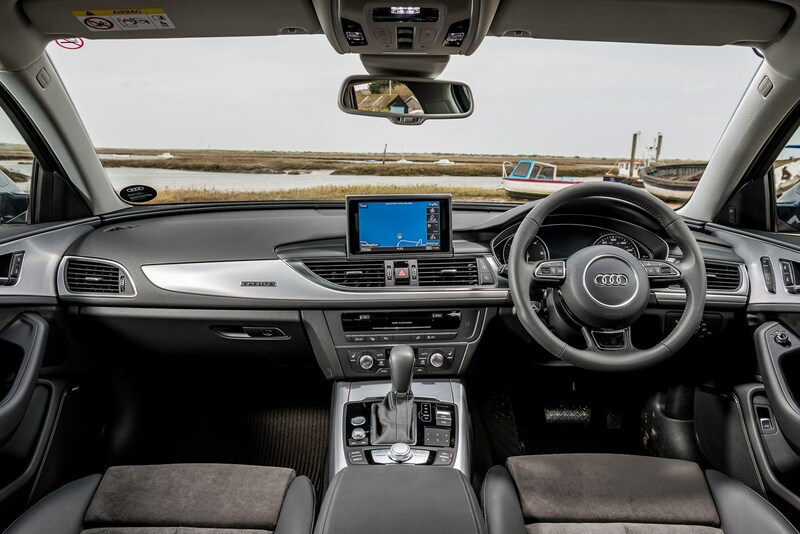 *PCP car finance figures taken from manufacturer websites assuming no optional extras, a 36-month term, a £5,000 deposit and 10,000 miles per year allowance. Pricing correct at time of publication. Will the family and pets fit? 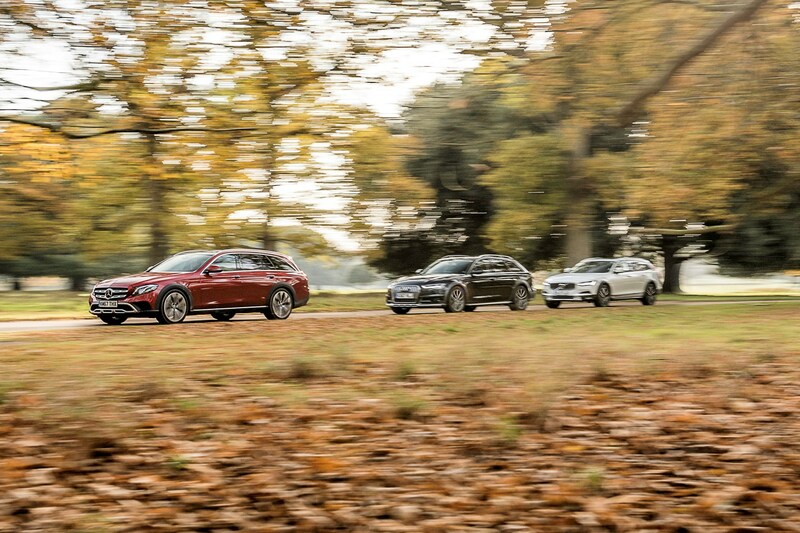 Each one of these cars is based on a large estate model, and each one has roughly similar passenger space. That means four adults will fit in comfort, but a fifth will struggle thanks to an obstructed footwell due to the all-wheel drive system’s transmission tunnel, and a lack of shoulder room in the narrow middle perch. When launched, the A6 Allroad (and the Avant it’s based on) had a seemingly large 565-litre boot, expanding to 1,680 litres with the back seats folded away. That’s been completely eclipsed by the far more recent E-Class, but matches Volvo’s efforts almost identically. You get an electrically powered tailgate as standard, along with a ‘luggage compartment system’ comprising a rail fixing system, a dirt-resistant tray, a double cargo floor, together with bag hooks and side restraining straps on the sides of the boot. When it comes to boot space, the Mercedes walks away with it. Able to carry 640 litres of luggage with the rear seats in place, which is roughly as much as a large dog more than the other entrants. Folding the rear bench down (possible in a 60:40 split as standard) liberates a massive 1,820 litres of room. That’s more than some vans. A powered tailgate is standard-fit, and you also get tinted rear windows and a panoramic sunroof thrown in. Officially the smallest boot on offer at 560 and 1,526 litres respectively with rear seats up and down, the V90’s styling has clearly encroached on outright boot capacity. However, it does fight back with a powered load area cover that adds useful functionality, while there are 12-volt sockets dotted around the cabin including in the boot. We also found the seats to be the most comfortable of all three cars on test. A powered tailgate is standard-fit here too. The best engine of the bunch is a close-run thing between the Mercedes and the Audi, with the Volvo coming a distant third place. 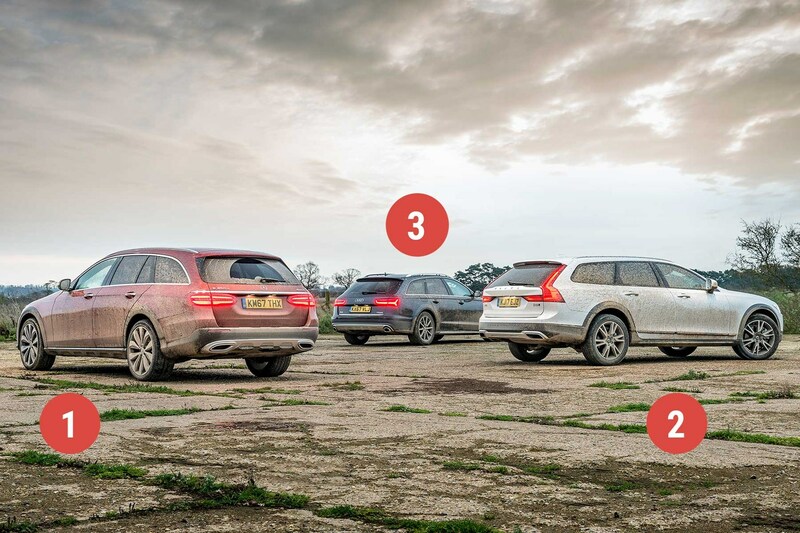 The reason for this is that the former pair have six cylinders, while the V90 has four, which means it has to work harder to get to a given speed. That means it’s noisier and less smooth, along with using more fuel than its official claimed economy of 53.3mpg would suggest. During our test is managed 33.8mpg, which was only fractionally better than the Mercedes’ 33.4mpg. We found the E 350 d powerplant a great compromise, but our pick of the engines was the Audi’s because it boasts significantly more power and torque than the other two, but also managed a competitive 31.5mpg over our test. 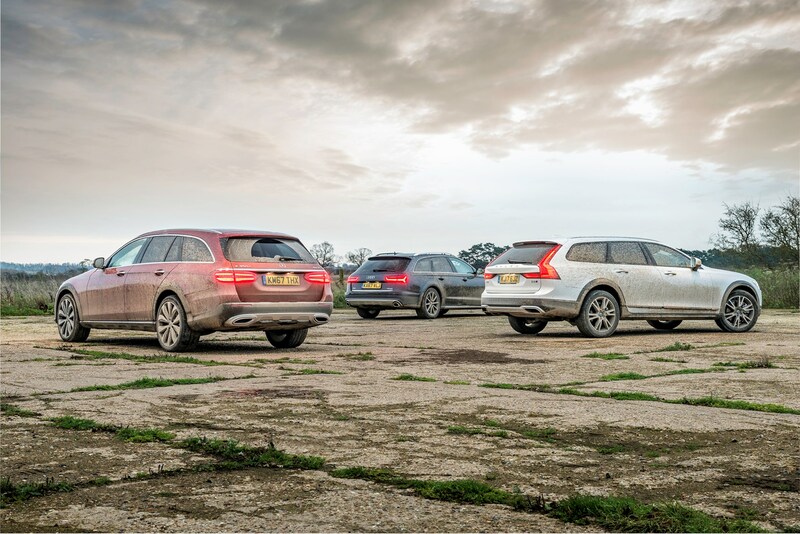 While they look very similar, the biggest difference between these three cars is in their handling and comfort levels. We found the Volvo markedly less capable in these respects, with too much bodyroll and a disconcertingly unsettled ride on the motorway. The Audi and Mercedes were both on adaptive air suspension (the V90 only has it at the rear) and made a far better fist of things, feeling predictable and planted in most situations. The A6’s traction with the Quattro all-wheel drive system was excellent, but we didn’t find it any more capable than the Mercedes. 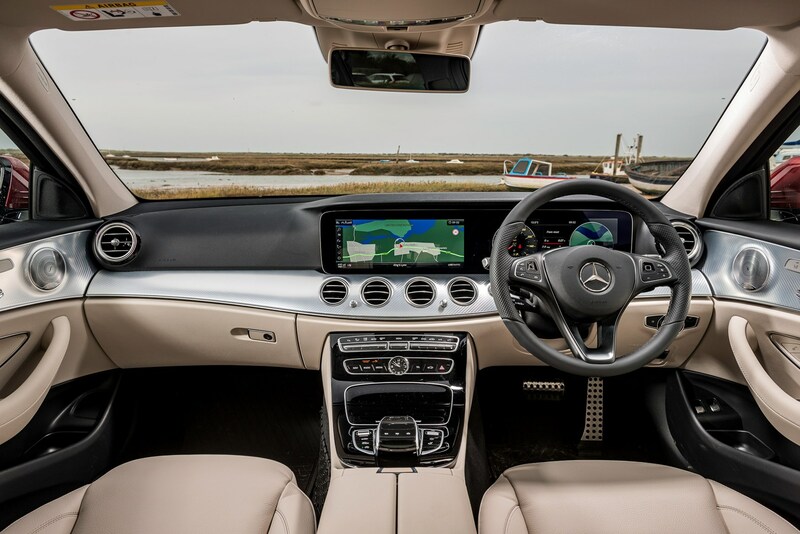 We’re giving class honours to the E-Class primarily because its steering was noticeably better than the numb-feeling A6’s, and the gulf between Comfort and Sport modes far larger to boot. What about towing or off-roading? Fair question, given the more rugged styling of these jacked-up estates. The win goes to the Mercedes here because it simply features far more kit for when the tarmac runs out. Its height-adjustable air suspension is one of the most notable additions (capable of offering heights varying by 35mm), but you also get extra drive modes to help out too. Audi’s attempt is nothing more than you get on the normal A6 Avant, albeit sitting slightly higher on its suspension. 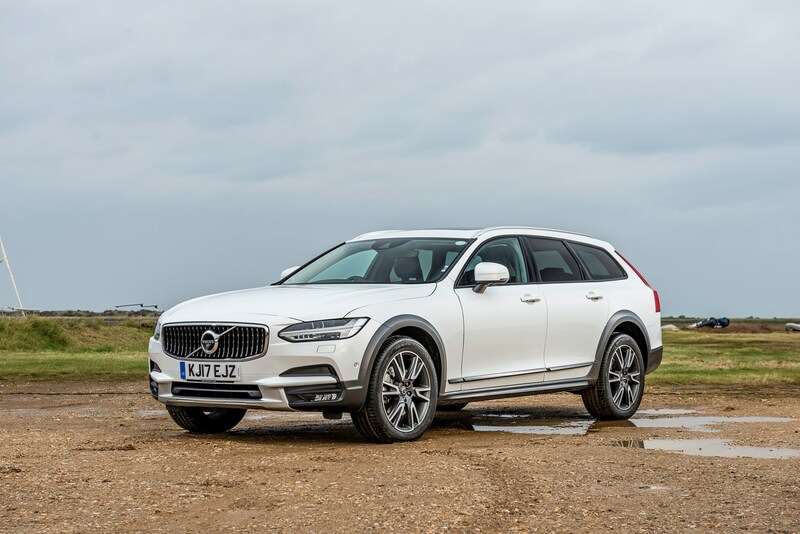 The Volvo takes second place since it sits 65mm taller than the regular V90 and does have a few off-roading features such as hill-descent control, an off-road driving mode and larger tyres. 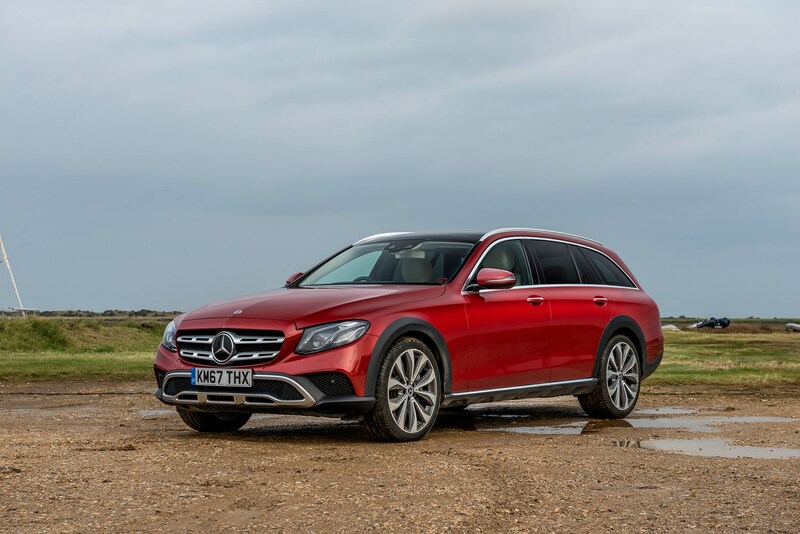 For towing, not only does the E-Class All-Terrain feature a 2,100kg braked towing capacity (750kg for an unbraked trailer), but it’s got an electric towbar as standard. 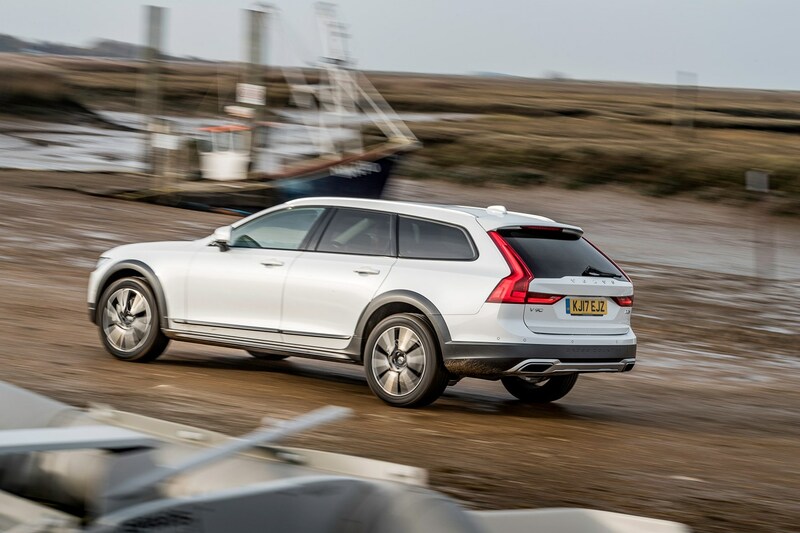 You’ll pay extra for the V90 and the Allroad’s towbars, but they’re both capable of pulling a 2,500 braked trailer (or 750kg unbraked). Is the tech easy to use? We found the Mercedes the easiest of the three in this respect. The Comand system has been around for a while now and features a clear, high-resolution screen along with a tactile rotary touchpad to control menu functions, which are all laid out intuitively. 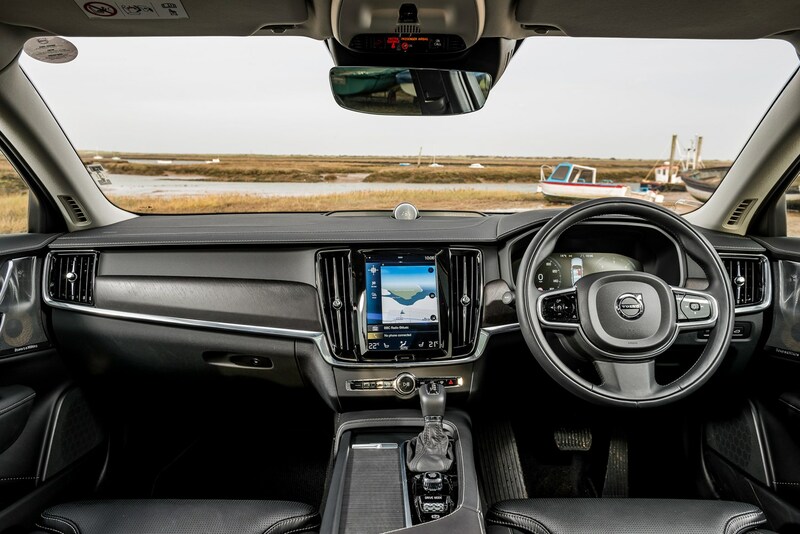 Volvo’s media system is integrated into the cabin extremely nicely and works well too, though there’s too much reliance on controlling functions through the touchscreen for our liking. In third place is the Audi’s system, which is very much feeling its age in this company. We like the way the screen folds out of the dash, but it’s far smaller and lower-quality than both Volvo and Mercedes’ efforts. There’s inherently nothing wrong with this MMI system – it’s just dated and slow compared with rivals. We love the sound systems' integration in both the Mercedes (Burmester 13-speaker system as standard) and Volvo (Bowers and Wilkins 18-speaker system a £3,000 option). To start with, the A6 Allroad’s standard kit list is found lacking here. Normal cruise control and parking sensors are about all you get without delving into the extra-cost options. The Volvo and Mercedes fare infinitely better, with adaptive cruise control along with lane-keeping aids, automatic emergency braking and traffic sign recognition combining to facilitate semi-autonomous driving. You do have to pay more for this in the E-Class, however, while the Volvo has it for free. That said, we vastly prefer the way the Mercedes system applies itself. It’s smoother and seems to be configured better for our road network too, because we found the Volvo’s lane-keeping system wanted to position us too far to the left of the lane on the motorway. Furthermore, the V90’s steering ‘assistance’ doesn’t so much assist as actively fight the driver, with too much torque through the wheel to keep the car where it thinks it should be, rather than where you think it should. None of the cars in this test should be avoided, but there’s a clear winner. 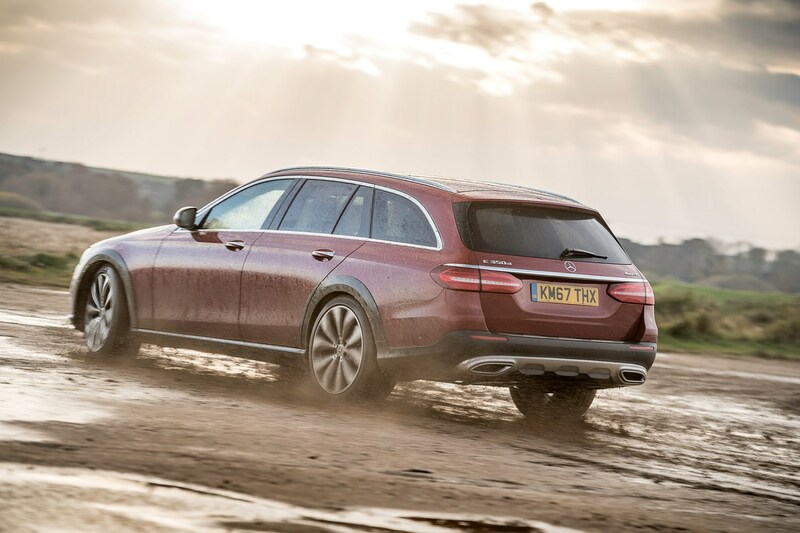 The Mercedes E-Class All-Terrain takes top spot. It’s the newest of the trio but comes packed with kit, is the most practical and overall is the best to drive too. However, we don’t think you’ll be disappointed if you go for the Volvo instead. It does get more kit and there’s a lot to recommend it. The A6 Allroad does a brilliant job as well, and while admittedly it’s getting a bit long in the too, that does mean the likelihood of some decent discounts at dealerships in anticipation of its replacement coming soon.